The exhibition "Style on Stage. 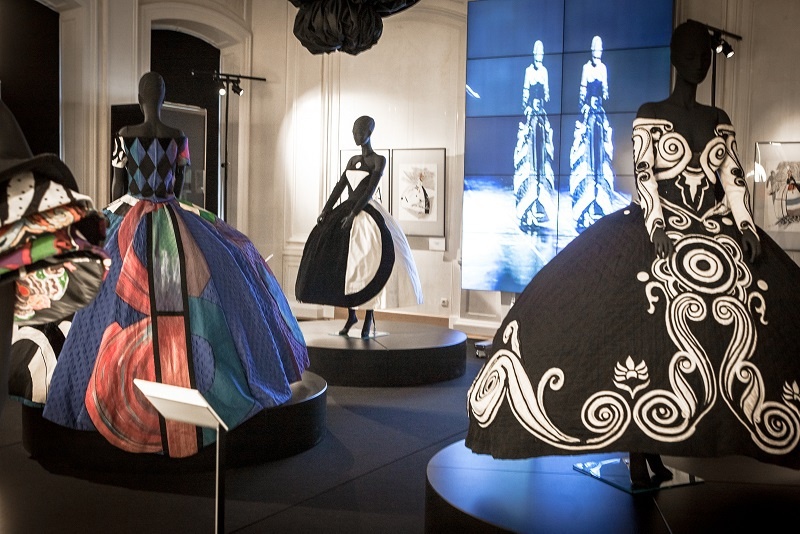 Art of Elegance" became "the Best Exhibition of the Year 2014" — Diaghilev. P.S. On 24th of October, 2014 the State Museum of Political History hosted an award ceremony for the winners and nominees of the Museum Olympus competition. The Museum Olympus prize was founded by the Committee for Culture of Saint Petersburg and the Interinstitutional Museum Council; this year marks the sixth time that the prize has been awarded. 29 cultural institutions presented their projects in six categories. This year, the exhibition “Style on Stage. Art of Elegance” has been awarded with the “Museum Olympus 2014” and announced the “Exhibit of the Year”. It was a big honor to compete for this prize with one of the main expositions of the Hermitage, “At the Court of the Russian Emperors. 18th – early 20th Century Costume in the Hermitage Collection”. 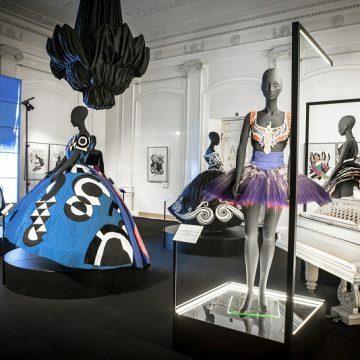 The exhibition “Style on Stage. Art of Elegance” crowned the International festival “Diaghilev. P.S.” in last year in the halls of the Sheremetev palace. 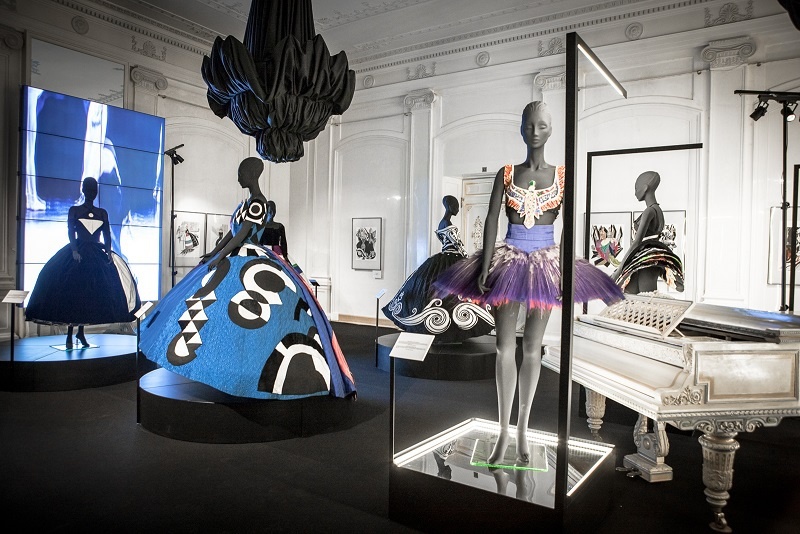 The exhibition “Style on Stage. Art of Elegance” allowed for comprehensive assessment of contribution of famous Italian designers in the art of onstage dresses and costumes. 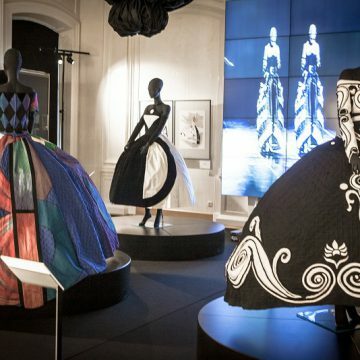 It presented 216 exhibits (85 costumes and 131 sketches) – the masterpieces of Fashion houses Armani, Balestra, Biagiotti, Fendi, Missoni, Versace, Ferretti, and exhibits from private collections of Roger Salas, RainaKabaivanska, Valentino Garavani; Roberto Capucci Foundation, Maurizio Galante Archive, Missoni Archive, New York City Ballet, and the Shremetev Palace – a branch of the Saint Petersburg State Museum of Theater and Music. The exhibits came from European and American cities and countries: Madrid (Spain); Rome, Naples, Milan, Varese, Modena (Italy); Paris (France); New York (the USA).